Are you interested in Silk or Preserved Plants? 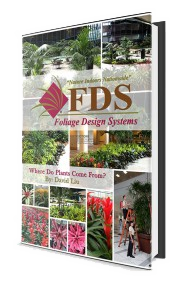 Serving Northeast Florida for more than 30 years, Foliage Design Systems in Jacksonville, FL, is the go-to expert for interior office plant installation and landscaping maintenance, bringing the beauty of plants to offices, building lobbies, atriums, hospitals, country clubs, and commercial facilities throughout the region. Are you looking to enhance your business, commercial property, or residency? If so, then you have come to the right place! Over the years, countless customers have turned to us for their plant service, including the design, installation, and maintenance of plants and planters. We understand that each location is unique and we will work closely with you to craft a greenery solution that fits your needs. The only limit is your imagination, as we can provide everything from small desktop plants to towering palms, in addition to seasonal solutions and holiday décor, such as Christmas. For more information or a free estimate, give us a call at our Jacksonville office today at 904-928-9600. Would you like to see some plants that would enhance your office or home? How about the decorative containers to match any color, any décor? What is a Living Wall? And Does Your Office Have One? What’s Killing Your Office Plants?